The Santa Cruz Mountains nearby shelter the Treasure Beach area from rain giving it many days of constant sunshine. Treasure Beach Hotel is a 36 air conditioned bedroom beach front hotel set amongst majestic Sabal Palm Trees and offers two fresh water swimming pools and a jacuzzi, poolside bar, restaurant and a large beach for a full measure of sun, sea and sand. 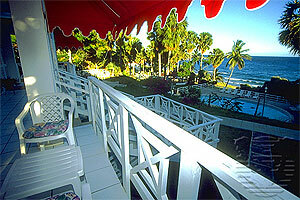 The area has an abundance of good views and quiet fishing villages reflecting the true Caribbean pace of life. Come relax and unwind at the Treasure Beach Hotel where time is plentiful like the warm golden sand.